Wood stoves are much more than mere appliances, and here’s why. At Quadra-Fire, we often stop short of calling a wood stove an “appliance.” The word “appliance” should really be reserved for things like refrigerators, water heaters, and washers and dryers. That’s because it’s rewarding to interact with our wood stoves, nurturing the fires that not only heat our homes, but warm our hearts. Wood stoves have become tasteful and decorative home amenities, with updated, furniture-like designs that work hard to compliment any décor – much more than mere appliances. A good example is the Quadra-Fire Limited Edition 3100 wood stove. It’s both functional and beautiful, with an integrated wood storage bin under the firebox that holds up to a day’s worth of wood. It makes adding wood to the fire easy and adds a rugged design element to the room. Ceramic tiles installed on the sides of the firebox also add a customizable design feature to these wood stoves. Any color and almost any type of ceramic tile can be used, so you can create a look tailored to your home’s décor. The Limited Edition 3100 has brawn too. It’s outfitted with the Quadra-Fire’s patented Four-Point Burn System and will heat 1,000 – 2,600 square feet of living space for up to 10 hours on one load of wood. Meanwhile, Automatic Combustion Control maintains and controls the fire so you can relax and enjoy hassle-free heating. As you can see, you’re no longer limited to wood stoves that are boxy and nondescript. 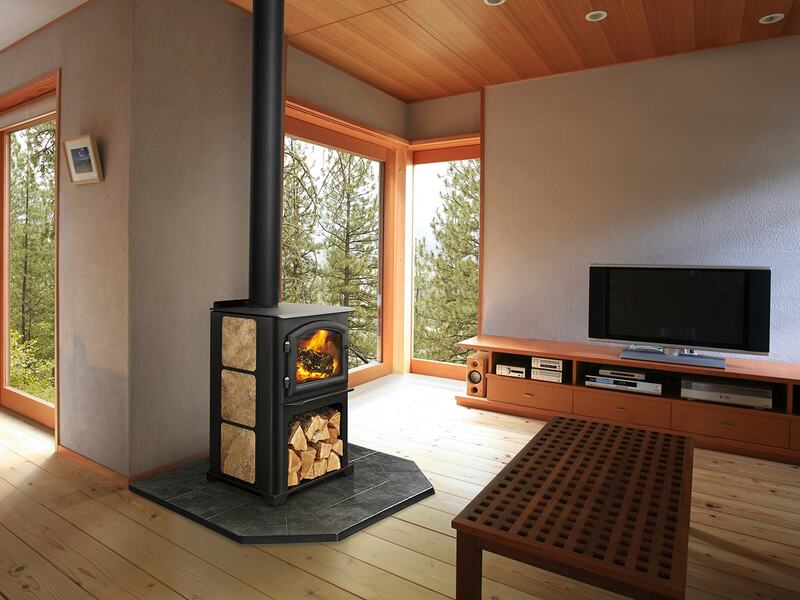 In addition to durable construction and patented technologies, the best wood stoves, like Quadra-Fire wood stoves, also make beautiful additions to any home. You can read about the evolution of wood stoves and their technologies over time here.